Lisa holds a Bachelor of Arts degree from Westfield State University in Marketing and Communications. She is a Certified Mindset Coach, Master Hypnotherapist, EFT Level 1 and NLP Practitioner in the Virginia Beach area. Lisa is a member of the National Guild of Hypnotists, Toastmasters International, and a Director of the Hampton Roads Public Speaker’s Association. She is also a Life Member the Virginia Junior Chamber and Senator for Junior Chamber International (a designation given to less than 1% of all Jaycees in the world). Lisa invests in continuous professional, self-improvement, and business-building training, and has trained with well-known success experts such as Jack Canfield and Tony Robbins. For nearly 8 years, Lisa was employed as a HypnoNutrition Coach and trainer with the locally-based national hypnosis franchise, Positive Changes Hypnosis Centers. For over 17 years she has been professionally trained and active in the field of human performance coaching and transformation. Lisa has owned and operated her own personal & professional development business, Life by Design, LLC, since 1998, taking it to a full-time practice in 2006. Her company has won Bronze and Silver awards in numerous categories for the Virginian Pilot’s Best of Virginia Beach contest from 2009 to 2013. In 2010, her company launched another division, Marketing, Mindset & Manifesting, to coach small business owners and entrepreneurs to build a successful business based on the techniques that have made her company a success. As an avid writer and professional speaker, she writes for her 2 blog sites—one for personal transformation and one for business success–and is the Mindset Expert for Women Business Owner’s Network online. Lisa has written and published numerous articles locally and nationally, presented lively talks and workshops to teach people how to more effectively use and improve the mind to achieve personal and professional goals, and been interviewed on local and national radio stations. She has also produced numerous hypnosis and mental conditioning audio CDs and co-authored 2 books on self-improvement. 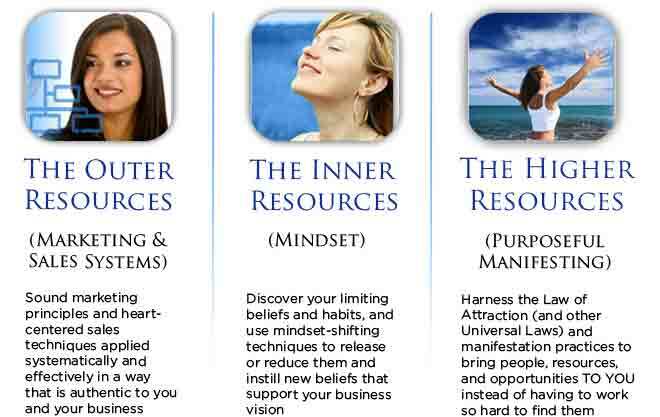 Links to all of these can be found on her websites at www.mmmcoach.com and www.hypnocoachlisa.com. I’m offering a complimentary 60-minute Business Strategy Session call as a jumpstart or compass for moving your business forward more effectively. To request your Business Strategy Session, go to http://bit.ly/mmmstrategysession and download your free audio to learn the 3 Keys You Must Master to Get More Ideal Clients & Make More Money.